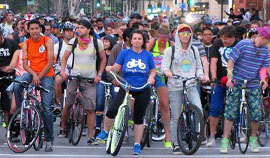 Join The San Jose Bike Party 10 Ride! 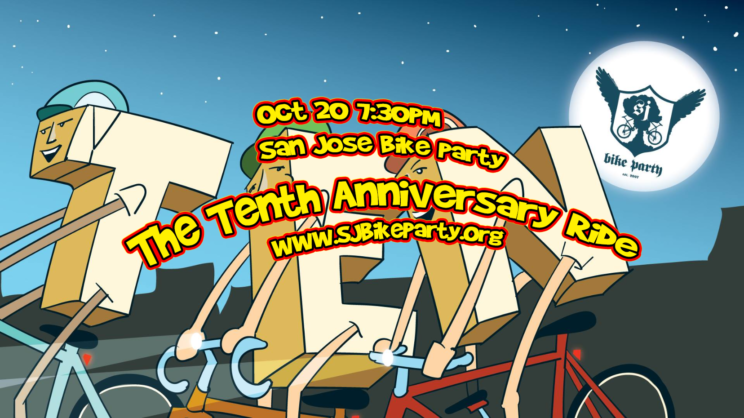 San Jose Bike Party is celebrating TEN YEARS with a VOLTRON START! Dj Sharkie and Dj Live and Guerillaz in Da Mixx will be bringing you the regroup beats at the mobile dance floor. Voltron Start? What the heck is that?! A Voltron Start is where we have multiple places for you and your squad to start your adventure placed all over San Jose. Be on time and ready to roll by 7:45pm so that you don’t miss a thing. At the start of the ride, we will hand out paper routes. 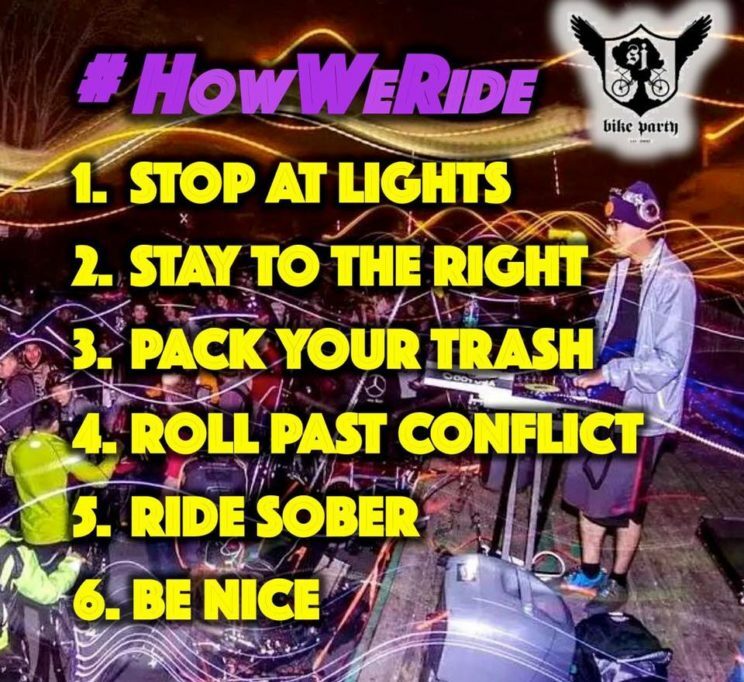 The groups will all roll out from their positions at 8pm following the music bikes; and will converge upon each other and continue on to our epic secret rendezvous point. The overall miles may be a little shorter than our normal rides; but will have a really long, amazing regroup in our secret sick spot. So…check out our starting locations and talk amongst yourselves to determine which start works best for you! The weather is turning colder; and it’s getting darker earlier – so please be sure to bring layers and charge all the things! 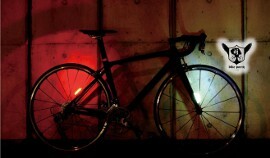 You will want to bring a lock to secure your bike so you can venture around the epic regroup! REMEMBER: Be on time at the start positions! Paper routes will be handed out! Follow the Music Bike! Okay. So where do we start? We have FOUR LOCATIONS: South, East, SouthWest, and West. Months of planning have gone into this event to make sure it’s spectacular and memorable. These starting locations should look familiar – they have all been featured in previous bike parties! We are so excited for this weekend! See you Friday! The celebration doesn’t stop with Friday! Join us Saturday for the Scalleywag Scavenger Hunt! …and Sunday for the Spoke-N-Ride!